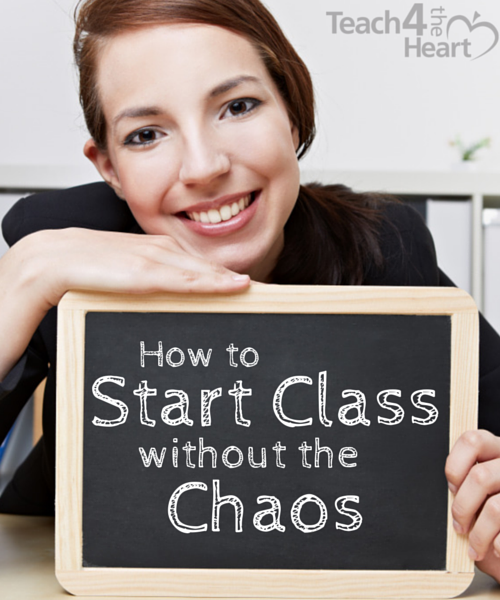 When I first started teaching there was only one word to describe the start of class – chaos. I remember standing in front of my class as the bell rang wondering how on earth I was going to get their attention. With half the class talking, 5 kids walking around the room, and 2 more coming in late, it seemed hopeless. But it actually wasn’t as tough as I thought. There were just a few key things I was missing. So whether your class is pretty much out of control or if it could just use a little fine tuning, here are some things I’ve learned about the start of class. 1. Have an assignment posted. If you're not starting class with some type of assignment, you've got to try it. A start-of-class assignment truly makes such a huge difference because it gives your students something productive to do while you complete all of your administrative tasks such as taking attendance. Have a consistent place in your room where you always post the assignment. Not sure what to use as your assignment? Keep reading - we'll give some tips for what makes a good start-of-class assignment in just a minute. 2. Teach your students to start the assignment without prompting from you. Now, this is where I went wrong. I had an assignment, but if students don't start working on it, then it's not going to do you any good. You have to train your students to sit down and get started without your having to say anything. If you're not even in the room they should automatically go to their seats and get started on the assignment before the bell even rings. And, no, it's truly not impossible.. But it doesn't happen by accident. You have to be intentional about training them to do this. 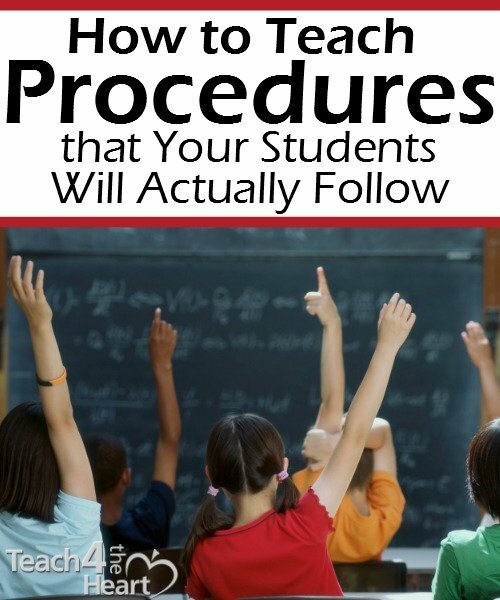 Check out my post "How to Teach Procedures that Your Students Will Actually Follow" for specific directions on how to make it happen. 3. Have a plan for what you'll do if students aren't on task when the bell rings. At first, you're going to have to train your students to get right to work so that they're already busy when the bell rings. But after the class has learned the procedure, you'll need a plan for what to do when a few students (or occasionally half the class) are still talking or disruptive after the bell. You can read the plan I finally came up with here. What Makes a Good Start-of-Class Assignment? It could be some review questions from the textbook, a journal prompt written on the board, or a separate worksheet with a quick exercise. Simply ask yourself, “What do my students need more practice/help with?” and then come up with a short activity that will help them master that skill. Keep in mind that you can use the same activity for more than one day and just give them 3-5 minutes at the start of each class to work on it. If you're not sure what would work best for your class, ask a fellow teacher at your school or in our Facebook discussion group. 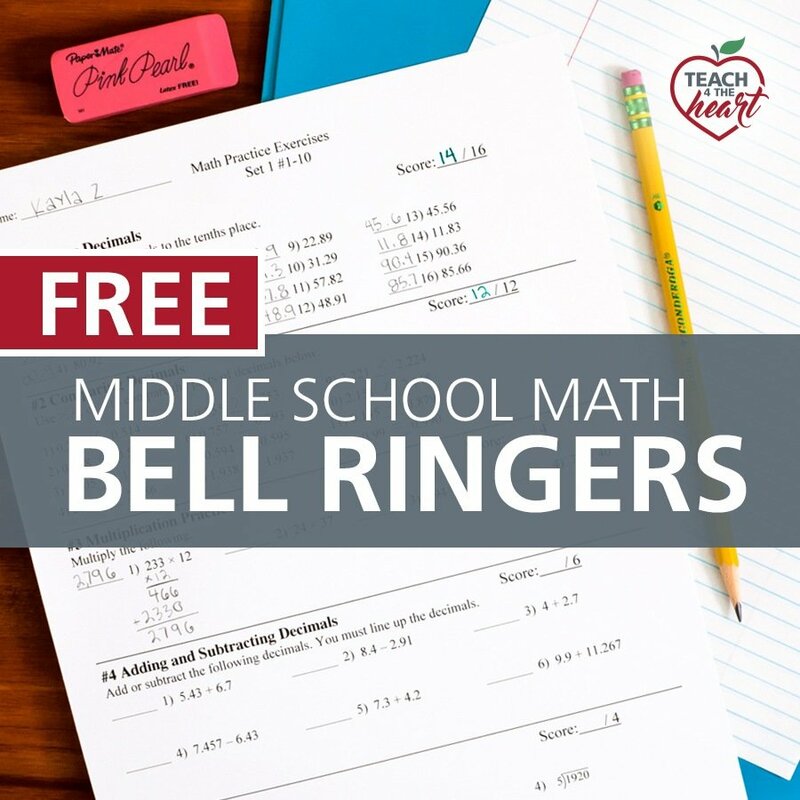 If you happen to teach middle school math, you can ​grab a set of the practice exercises I used here. Need more help corralling classroom chaos? 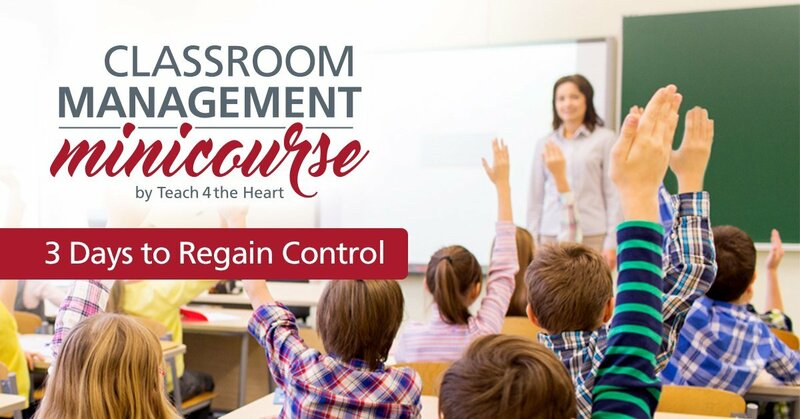 Start our free classroom management minicourse & regain control of your classroom in just 3 days. Very interesting! I’m an art teacher and that’s why I have asked all children (primary school) to bring sketchbooks. If they arrive in class they start on a sketchbook project with their own supplies (pencils or markers) It truly makes a difference! I installed this method after reading your book “creating your dream classroom” and I already notice a huge difference in the start of my class. The classes where the kids have these routine down are so much calmer throughout the whole class. Great advice here! Great advice! I started teaching middle school art this year and needed a bell ringer for students to do as people entered. I made an artist of the month board and we studied the artist’s history through reading passages as well as critiquing their art by use of a choice of questions. It worked out great except for my two largest and most energetic classes. I need to train them better about getting started without my prompting. My start of class assignment is very simple: read. I teach fifth grade reading, and I believe it’s important for students to have time for independent reading. It also allows time to complete other tasks. My students keep a reading journal at night, and they know the two things they have to do when they enter my room is open their journal to last night’s homework and start reading their book. While they do this, I let them take turns taking restroom breaks, if they finish a book this is the time they can check it in and choose a new one, if they need to take an AR test they can do so without having to ask, and I go around the room and check their homework. When all of that is complete, we start class and they’ve already had their independent reading time. Simple and no prep! AR reading is high on my schools priority list, so anytime students have a chance to read is a win-win! In my classroom, I always have AR time after PE to help the students calm down. I ❤️ this idea! Thank you for sharing! I teach math so my question for math teachers is- When you put up review warm-ups or whatever activities, do you go over the answers afterwards? Often I want to go over answers and help the students, but I also have way too many students who will wait for me and will not do the work themselves. I am thinking of skipping the answers and if they are struggling then they need to take responsibility and get help for themselves at another time. I have been subbing for the last 31/2 yrs and a prior vpk pre-k teacher for 14 yrs. Every now and then I get a class that seems to gang up on me. Usually it happens in 3rd through 5th grade. I haven’t ventured past 5th grade as yet. I will be dealing with a problem, when all the sudden 4 or more problems arise in the room, almost like the whole class starts tossing the ball around the room. I find myself having difficulty bringing the class back order. Today I had a 4th grade class for a half a day from 1:10 to 3:45 pm. Who would think that would end in a turmoil. IRLA was first, and very successful. Then once the teaching portion started about Mt St. Helen, a graphic organizer and summary, a couple of the students started bickering and pointing fingers, and disrupting the lesson. Things essculated and before I new it several were being rude, misbehaving, needing to go to the clinic, and not following the guidelines I introduced upon entering the class. I am not very fond of the partner learning strategies for a sub. Students seem to take advantage during partner time. I suppose I could have called the office on the students who were verbally bickering and had the class go back to independent work. I am always open for receiving any help I can get.